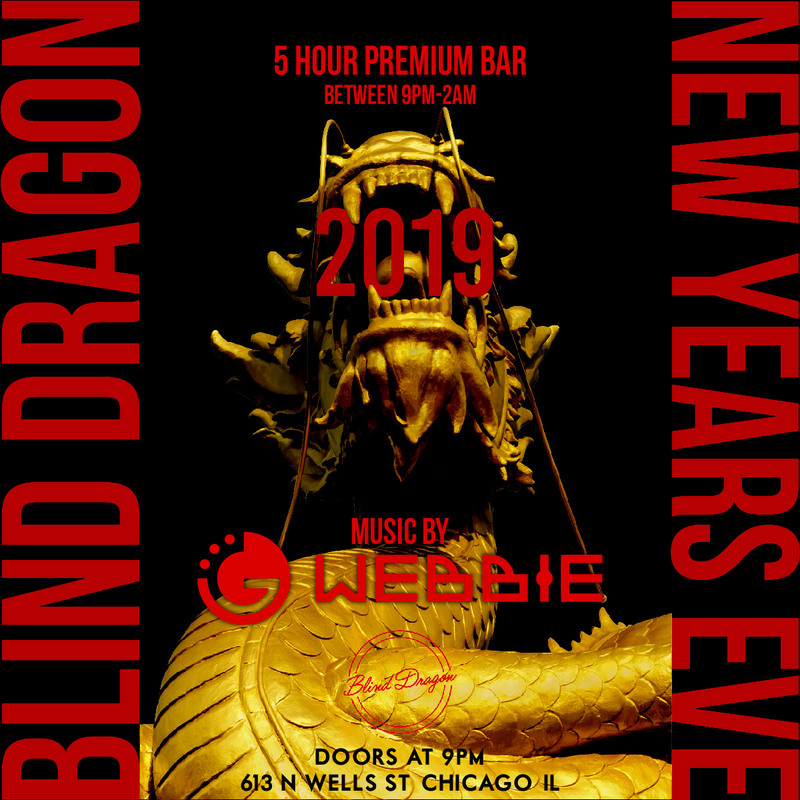 Blind Dragon is throwing Chicago’s Best New Year’s Eve celebration this December. The crowd will be as vivacious as the spot’s eclectic décor and the night’s soundtrack will be just as sensational. Get ready to launch into your best year yet at the Blind Dragon. Walk down under the glow of its neon sign and feel the warmth of this speakeasy as it comes alive like never before. Tunes from a live DJ will float through the space and as you move to their beat, forget time – the DJ will keep an eye on the clock for you. Help yourself to the five hour premium open bar and make sure you have a drink in hand when the clock strikes 11:59, because this will be one boisterous countdown. Take it up a notch with VIP amenities available such as reserved seating and bottle service. Rustic brick columns are scattered throughout the intimate space with dashes of Asian décor. There’s no other spot quite like it – from its leopard print barstools to its dim fringed lights, every part of this haunt is its very own. This spot reserved for those in the know will host the windy city’s party of the year – so get tickets while you still can.